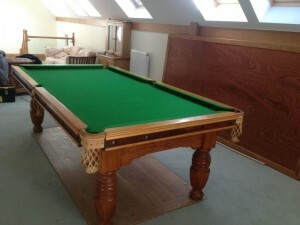 UK Pool Table Recovering Specialises in Recovering Pool and Snooker Tables, therefore you can be confident that your table is in good hands when it comes to fitting a brand new cloth. 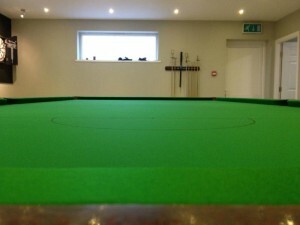 There are many options to choose from when it comes to Cloth Material and Colour, so you can match your colour scheme and design with your table finish or your room design. Our standard Bronze Package includes Recovering the Bed on the Slates with new cloth and also Recovering the Cushions in new cloth. 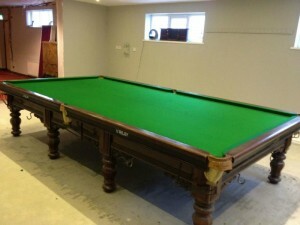 Our Skilled Pool Table Engineer’s will complete the job on site at your location, leaving your Pool Table looking fresh with a shiny new cloth to show for it.